Remote employees are becoming more and more common in the modern workplace. In fact, according to the Bureau of Labor Statistics, nearly a quarter of US employees do some or all of their work from home. While the trend is positive across virtually all industries, it’s particularly common in certain fields. For instance, more than 50% of technology workers report spending some time working remotely, while the number of employees working remotely in the healthcare sector is substantially less. Given the shift toward remote work, many companies are now asking themselves how best to keep employees feeling engaged and recognized from afar. The task is daunting, as many of the typical one-off opportunities that managers used to take when recognizing team members don’t naturally present themselves in an environment with distributed employees. Messaging tools like Slack are great for quick questions, but encouraging real conversation makes a big difference. Not only is much of communication about inflection, facial expression, etc – but conversations, whether over the phone or through video chat, encourage folks to ‘check in’ on each other more generally. These pleasantries can feel like inefficient uses of time, but in fact, they provide a crucial opportunity for employees to connect and recognize each other. Employees who work remotely often have less built in access to training and educational opportunities than someone working from headquarters. One way to truly show your remote employees that you are invested in their development is to provide them high quality access to online learning opportunities. One example is Udemy for Business, which gives employees access to a set of educational courses to complete on their own time. Mentorship relationships often occur naturally in traditional workplaces. However, that’s often not the case in workplaces with substantial number of remote employees. Consider being more prescriptive with a mentorship program if you have a substantive remote workforce, surveying junior employees about they type of mentorship connections they would appreciate and then proactively connecting them with senior members of your organization. There are key times to remind someone they are valued, such as birthdays, work anniversaries, onboardings and farewells. For these occasions, consider replacing the paper card that’s passed around and signed in a traditional workplace with an online group card for employee recognition. With Kudoboard, for instance, colleagues spread across the globe can add messages, pictures, videos or GIFs onto a collaborative card to celebrate a recipient’s special occasion. Ever wonder why gambling is so popular (even though the odds are often bad)? It’s the psychological concept known as intermittent, variable rewards. In other words, an occasional surprise reward to recognize an employee’s efforts can make a big difference. We’d rarely recommend that a manager be more unpredictable; however, using this strategy judiciously by being a bit creative about when you provide a boost can be surprisingly motivating. Remote workforces are a tremendous asset. However, there’s nothing that can replace an in-person gathering to foster connections and make recognition feel real. No matter how committed you are to a remote workforce, consider some regular cadence (quarterly, bi-annually, etc.) to bring your employees together to ensure that a cohesive culture continues to thrive. This entry was posted in General and tagged Guest Post, Recognition on February 27, 2019 by Ben. In today’s episode of We’re Only Human, I talk with Autumn Spehar, HR Director at Stout Advisory, about how her company made a radical change in its approach to performance management. We also talk about how it’s working out one year later and the key lessons learned. Performance management is one of the most hated HR systems in existence. Yet virtually every employer has a need to measure performance, set goals, and give feedback. So, what’s the right balance between a system that meets the needs of business leaders and one that meets the needs of the employees? 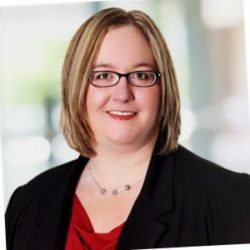 In today’s discussion with Autumn Spehar of Stout Advisory, Ben delves deep into this question by asking Autumn to describe her company’s transition from annual, paper-based performance management to a technology-enabled approach utilizing continuous feedback, real-time recognition, frequent check-ins, and more. This conversation is more than theory–it’s based on a year of practice in using the system, including the ups and downs that any company might face in this kind of transition. 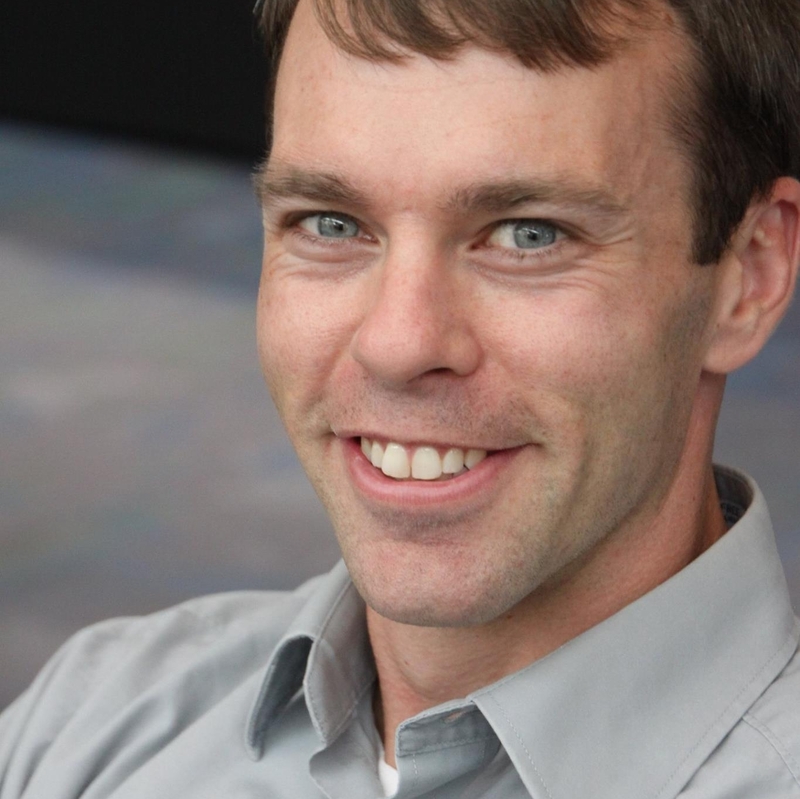 Listeners to this episode will not only get to hear about Stout’s new outlook on performance, but they will be treated to some insightful commentary about the connections between culture, behavior change, and other elements that some of the “headlines” on performance management seem to miss. If you’re in charge of performance management at your company or you think your system could use a refresh, this is the episode for you! Thanks to Highground for connecting me with Autumn! This entry was posted in General, Podcast and tagged Employee Engagement, Performance, Performance Management, Recognition, Talent Management, We're Only Human on November 13, 2017 by Ben. 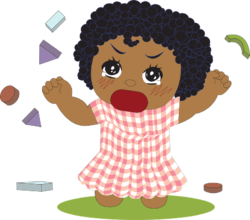 This entry was posted in General and tagged Candidate Experience, Employee Experience, Recognition on June 26, 2017 by Ben. Last week I had the pleasure of presenting a workshop based on metrics, evidence-based HR, and change management. The session was a lot of fun, because we were able to tie the three topics together in a variety of ways to help reiterate not only why each of them matters, but how each of them can really build value when used in conjunction with one another. HR is often using anecdotal information (if any at all), conjecture, and pure hope to make decisions, but we can do better. Today I want to go a little deeper than my post last week on “keeping up with the Joneses,” focusing more heavily on the evidence-based HR piece. Note: We covered a relevant topic recently on the podcast: 3 Examples for Measuring HR’s Business Impact. Evidence-based human resources is the practice of identifying solutions and approaches that have a strong empirical basis. In other words, we don’t just use gut instinct, an interesting anecdote, or anyone’s opinion to make our point. We use data and other solid evidence to support our decisions at every possible turn. But where does that evidence come from? If you just do a quick Google search for one of these organizations and the topic you need to research, you’ll more often than not find something to help make your case. I actually had participants do this during the session, focusing on areas like recognition’s impact on productivity (definite linkage), using talent pools for faster hiring (no data we could find), and other relevant HR activities. Be careful not to just grab a story of a company that is doing neat things and grabbing headlines, because that’s not enough to warrant good evidence. You want to find information from a study or some other data-backed approach that helps to lend credibility to your eventual decision. If it’s just a neat anecdote, then you’re really not improving the process any more than just making a decision based on gut instinct. There are six key steps to making an evidence-based decision in the workplace. Using this approach can help you to not only leverage evidence, but think critically about how valuable the evidence might be relative to other sources of data and information about your problem. Instead of going with the normal approach of “Bob said this worked at his last company,” we can use more credible sources of information to frame and resolve the issue. Seeing this practice in action is the most powerful way to really “get” the value it can offer. I originally was turned off by the idea of having to research everything HR does on a daily basis, but in reality we make relatively few key decisions like those an evidence-based approach to HR would help with. For instance, New York spent more than $75 million on teachers to help increase student performance and teacher satisfaction. The result? No improvement. There is already data available that could have shown that this kind of approach has not yet been proven to deliver strong results (this examination of multiple studies still came away inconclusive, or “cautiously optimistic,” calling for additional research). Despite the lack of evidence, someone went ahead with the program anyway. Here are a few examples of how it works in practice. Selection Techniques-Your hiring managers are often used to creating high pressure interview situations to “see how candidates will respond.” They also like using tools like application data and GPA to filter out candidates. You find research that demonstrates the validity of their methods is in some cases no better than performing a coin flip to make a hiring decision, helping to sway them into using more structured methods and assessments for hiring decisions. 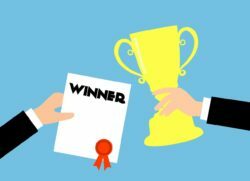 Employee Recognition-One of your managers is resistant to using recognition because “everyone can’t get a trophy” and she doesn’t want to “coddle” her workers. You find some existing research that points to the value of recognition not just in increasing worker satisfaction, but in increasing productivity as well, helping the manager to see the benefit to her and the team by improving her recognition skills and practices. Performance Management-One of the trends in the US is “disposing” of the traditional approach and taking a different avenue for rating and assessing performance. You want to make this move with your company because you feel like your existing process is not adding organizational value. There isn’t much data, if any, available to support the different approach, but there is some data showing that collaborative environments support better teamwork and cultures than those focused on forced ranking and distribution of employees. Leveraging research can drive immense value across the board, even for organizations outside the private sector. For instance, the Warner Robins Air Logistics Center, which repairs military aircraft for the US Air Force, used new research methods to speed repair processes for C-5 aircraft, allowing reductions in working capital of approximately $50 million (source: Deloitte). While many of us aren’t working hands-on with aircraft, we still have the company’s largest budget item, its people, under our purview. Isn’t it time we started treating them like the valuable assets they are, managing them to the best of our abilities with the most relevant research and information available? This entry was posted in General and tagged Compensation, Data, Evidence-Based HR, Metrics, Recognition, Scientific Method on March 13, 2017 by Ben. Thanks to my wonderful wife for the idea for this one. One of our traditions every year is to watch Christmas Vacation (no, not with the kids!) While it’s not my favorite (that spot is held by It’s a Wonderful Life), it always gives me a laugh and reminds me to focus on the important things during the Christmas season. 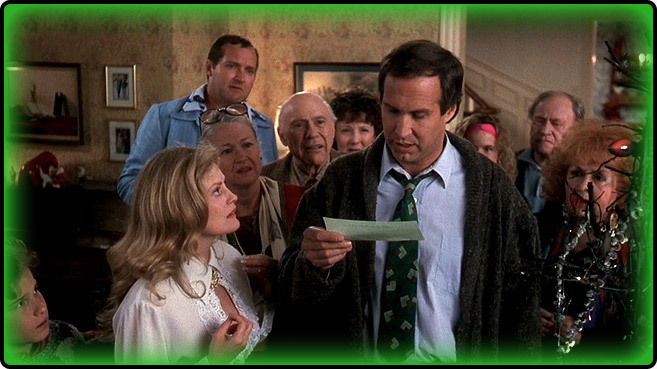 One of the memorable scenes in the movie is when Clark opens up what he expects to be a holiday bonus only to find a “jelly of the month” membership card. After all kinds of crazy experiences, that bonus was his last opportunity to bring some sense of closure to the season by giving an amazing gift to his family (a pool). When he finds out that it’s basically a certificate for twelve free jars of jelly, he snaps, ranting and raving about his boss, the company, and more. I’ve been a key part of many compensation and bonus reviews over the years, and there are some excellent lessons we can all learn from this story. During the movie, Clark talks with a friend about his big plan to put in a pool. He even carries around a brochure to look at and share when necessary, demonstrating how excited he is about the coming bonus. The reason he ultimately flips out at the end of the movie is because his expectations did not match reality. The parallel is obvious. If we are going to provide some sort of bonus, whether holiday-related or not, we should ensure that expectations match reality. You can do some prep work, laying the foundation and expectations beforehand to ensure nobody is disappointed (or at least a minumum of disappointment occurs, because it’s hard to please everyone). In Christmas Vacation, Clark is particularly excited because his work performance was recently recognized as above average. He created a valuable product for his employer, and he expected his bonus to mirror that level of contributions. When it comes to offering rewards, recognition, and bonuses for performance and results, be sure the result is related to the level of the employee’s contribution. Someone saved the company $2 million by reducing waste? Don’t give them a $25 gift card and call it a day. An employee creates a new process that reduces customer churn by 10%? They expect more than a pat on the back and a template “thank you” note. This isn’t an invitation to be overly extravagant, but think about it this way: do you want those people to continue innovating and creating new value for the company? If so, reward them well, and create a virtuous cycle of value for everyone involved. Whatever label we stick on them, we need to treat them differently from the rest of the employees. Yes, this scares the pants off most HR pros, because we’ve been taught to treat everyone the same. But it’s madness when you think about it. Equal treatment for unequal performance/productivity/contributions is a surefire path to mediocrity. When I managed compensation reviews, it always drove me crazy to see our highest performers getting a 4-5% raise and our lowest performers getting a 2-3% raise. That ~2% split wasn’t enough to truly reward our great people and create an incentive for continued stellar performance. My only consolation was the bonus pool that I was able to help work with managers to direct more toward those individuals that offered more than their “fair share” of value to the company. The examples we’ve been discussing don’t have to include a moment of public praise, but they certainly could. Here’s a story I’ve told before about two very different methods for showing appreciation for the contributions of an employee or team. I was talking to a friend recently and heard this sad story. A handful of employees received awards for superior performance. It was the first time the work group had received awards, so it was a special occasion for the staff members who earned the kudos. However, the manager quickly stepped in and made it known that the awards were not to be communicated internally. Nobody could know that the employees had been rewarded for their efforts. So, what’s a better way to wrap in public praise without making it awkward? Here is how I liked to do it when I managed a corporate HR function. One year we had a major corporate office relocation, and it was quite an ordeal. After the dust had settled, the team who made the move possible all received financial awards as a “thank you” for all the hard work, but we wanted to make sure it was more meaningful. Check out the email below that went out as the public praise for the team. We’ve talked about it before, but recently the corporate office moved to a new location. On the outside, it was a fairly simple affair; however, from the inside there was an astounding amount of work that had to be completed. Not to be dissuaded, a few people really stepped in to make that transition as easy as possible. They picked up extra duties, worked long hours, and fought the good fight with vendors and builders to make sure this space was everything we needed it to be. For their efforts, each of the employees mentioned below received an award as a token of appreciation; we wanted to offer this bit of public praise as well. To those of you who made it all possible, we all appreciate you very much. Thank you for your support! You truly embody our core value of Unequivocal Excellence in your work. At the end of the day, it’s critical to believe that your employees want to do great work. And in your role as an HR/talent leader, it’s crucial for you to coach managers, offer tools and guidance, and help create opportunities for people to be recognized for what they do. I can guarantee that they won’t be disappointed like our dear friend Clark. How do you make sure your people feel appreciated and rewarded for their work? Do you have a unique way of making it personal and appealing for the recipient? This entry was posted in General and tagged Appreciation, Awards, Communication, Incentives, Recognition, Rewards on December 5, 2016 by Ben. Employee Appreciation Day is upon us (March 6th, for those who are dying to know). While you all know that I am a firm believer in the power of employee recognition (whether it’s formal, peer to peer, or anything else in between), I am also a fan of making it part of your culture, not an annual event. The simple analogy is this: would you wait until a specific day of the year to tell your family, significant other, or children that you love and appreciate them? Probably not! 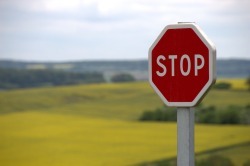 Thanks to my good friend Trish McFarlane sharing the top 3 things leaders shouldn’t do on March 6th, I wanted to kick in 3 more tips for managers that want to skip this whole Employee Appreciation Day nonsense. Enjoy! Don’t make it complicated. The process for thanking someone is simple. You approach them, thank them for something specific they have done, and go on with your day. This is appreciation at its most fundamental level, and despite the simplicity it has been shown to have an incredible effect on employee happiness and engagement. Don’t be lame. “Thanks for doing a good job” isn’t really that motivating, and it isn’t likely to reinforce behaviors you want to see repeated. How about “Thanks for providing clarity on that project meeting–it really helped me to understand what’s going on and be prepared for what’s coming in the next phase.” See the difference? Don’t be generic. If you want to include something monetary, be personal. A good example: I used to work with a young lady who had a goal to visit each baseball stadium around the US in her lifetime. When it came time for a project reward, her manager purchased a nice ticket stub scrapbook for her to track where she had been complete with photos of her and friends enjoying the games. That $20 purchase meant more to her than a $100 generic gift card because it was something deeply personal for her. Another fun example: a local HR Director buys a bag of dollar store goodies for birthday celebrations and each employee gets something. The other employees vote on what to give each other and why, and it gives everyone a chance to join in the fun and makes each “treasure” a personal experience. What ideas do you have for avoiding Employee Appreciation Day in favor of a continuous culture of employee recognition? Do you have any managers that do this well? This entry was posted in General and tagged Appreciation, Recognition on March 4, 2015 by Ben. Walk up to the employee who deserves the praise. Tell the employee specifically what they did well that you sincerely appreciate. This entry was posted in General and tagged Appreciation, Recognition on April 18, 2012 by Ben. Sign up for updates and get two free eBooks instantly. Join 10,000 other HR professionals in the community! Get the free PHR/SPHR newsletter!